submit an application for the annual Association Bursary Award. Details of past winners and how the scheme works out can be seen in the link to the left. 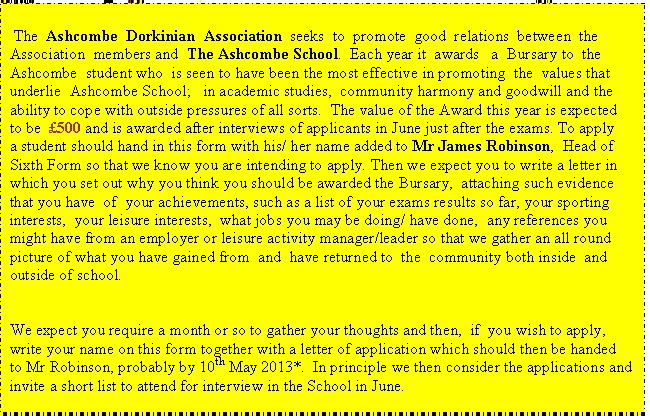 and supporting information to Mr Robinson for forwarding to the Association Award Panel. No other awards at this time.